What does it take to walk away from your country when it insists on taxing your income earned overseas? With just over a year until the South African government starts taxing some of its citizens working abroad on their worldwide income, many are looking to financial emigration as the best way to sidestep the coming regulation. But how easy is it? From 1 March 2020, South African tax residents working in jurisdictions where they pay no income tax will have to pay the South Africa Revenue Service (Sars) where their foreign income exceeds ZAR1m (£55,748, $73,267, €64,091). The intent behind the change, which was unveiled in early 2017, was to close what was described as an “overly generous” tax break for overseas workers. 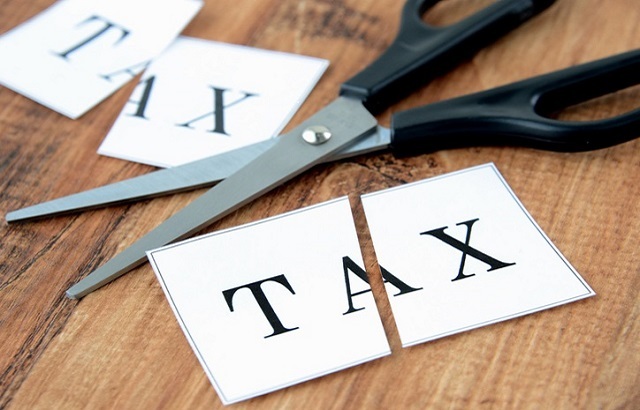 It was reported in late January 2019 that the “controversial” changes to the Income Tax Act would be “revisited” by the National Treasury and industry players “in the coming weeks”. But the damage, as they say, may already be done. Worried about becoming the primary means of SA’s fund raising efforts, some are looking to financially sever ties with their homeland. But is there a lot of panic for little reason? “There is a lot of mis-information about financial emigration,” said Ryno Viljoen, chief executive of FinGlobal, which specialises in supporting South Africans through the financial emigration process. “The tax change will only impact those who are ordinarily resident in South Africa but work in a country where there is no income tax. Even if you work in a country with low tax, you would not have to pay tax in South Africa as well, as you can only be tax resident in one country,” he told International Adviser. The ordinarily resident test and the physical presence test. The ordinarily resident test is conducted first, with the physical test only ever used if the person is found not to be ordinarily resident in SA. The process does not, and this is very important, change a person’s nationality. They remain a South African citizen. International Adviser contacted the South African Reserve Bank (Sarb) for details about the number of people who have financially emigrated and if there has been any rise in enquiries or people cutting financial ties as a result of the looming tax. Sarb declined to comment and suggested that those questions could be best answered by Sars. After a brief round of journalist ping-pong, IA reached out to the group most affected by the regulation – expats from South Africa. While the process of financial emigration seems like a relatively straightforward, almost administrative, step; for many it has been a gut-wrenching experience. One individual, who spoke anonymously, said that they had never even considered financially emigrating before the amendment was announced. “I thought my tax affairs were in order because I told Sars, in 2001, I was leaving the country and contacted them every year until I was told not to submit tax returns anymore,” said X.
Sars advised X that they would only need to inform the revenue service if they returned to the country and changed their tax status to “inactive”. X’s finances are relatively straightforward; no property, some investments and occasionally sends money home. Another person going through a similar experience expects the cost of financial emigration to reach ZAR30,000. Also speaking anonymously, W criticised Sars for viewing expats as “soft targets”, saying that going after South Africans overseas was “fraught with complications” and had “not been thought through”. The process for W, so far, has not been complicated and mostly involved filling in a lot of forms. Other than giving up work and financial emigration, some expats are also eligible to use Double Taxation Agreements, which W describes as “tedious”. If an individual later decides to return to SA and become tax resident again, according to W, there is a penalty to pay within the first five years as this is deemed “failed financial emigration”. After five years there is no penalty. W reiterated the need for SA to look inwards instead and “fix what is broken in South Africa before going after expats”. Both X and W opted to use external companies for their respective financial emigration processes. X used “a reputable place that knows what they are doing, to remove stress”. While W acknowledged that the process could be done without outside help, they viewed the potential ZAR30,000 cost as “a lot cheaper than paying the tax”. South Africans, like all nationalities, work across the world. Given the potential changes to the law, it would be wise to review any and all ties to SA ahead of the March 2020 deadline. The length of time the financial emigration process takes, plus a potential landslide of applicants if the tax changes are implemented, means it would be wise to act now.